SYLVIANNE K.L YOUNG - Young Properties Inc.
SYLVIANNE K.L. YOUNG's Certifications and Recognitions President and Principal Broker of Young Properties, Inc. since 1992. State appointed Chairperson for the Oahu Eviction Board "C" of Hawaii Public Housing Authority. History Sylvianne entered the real estate profession in 1979 and for seven years held the position of Managing Broker for a national franchise company. In this capacity she was merited with several national and local awards for outstanding sales. In 1992, Sylvianne took on the greatest challenge, opening her own real estate firm. The majority of her business is generated through referrals from business associates and former clients. Because of her performance and dedication to her profession, she has the privilege of representing three (3)lending institutions selling their REOs (foreclosed real estate owned) properties. She has been nominated in 1998, 2000, 2001, 2003 and 2005 as a candidate for Hawaii's Aloha Aina Award, a recognition given for outstanding services. 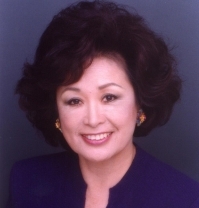 In 1993 she was one of the first Foreclosure Commissioners appointed by the First Circuit Court of the State of Hawaii and continues to maintain this position today. Her determination and commitment to deliver quality services to her clients has ensured the success of Young Properties Inc. Agents Our team of professionals offers experience, knowledge and trust, who are dedicated and qualified to provide their clients with quality service and expertise. Our agents are bilingual in FRENCH, KOREAN AND SPANISH. They are high caliber professionals with diverse backgrounds in Marketing, Advertising, Property Management, HUD Program, Foreclosure, REO sales, Commercial and Residential Sales.